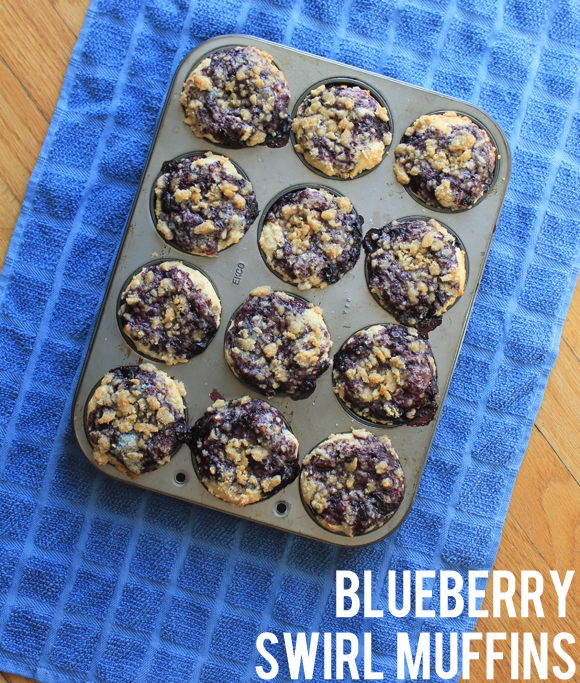 less is more: blueberry swirl muffins. 1// Preheat oven to 425*F.
2// To make the streusel topping, mix the sugars, salt, and flour together, then slowly mix in the melted butter and combine all of the ingredients with a fork. Once it's lumpy and mixed, set it aside. 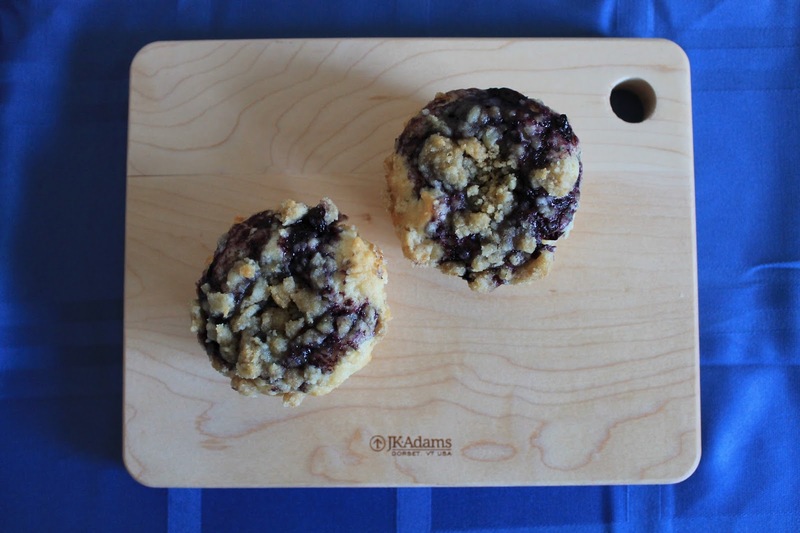 3// To make that delicious-looking blueberry swirl, add 1 cup of the blueberries with a teaspoon of sugar to a small pan and mix together (frequently) on medium heat for five minutes. 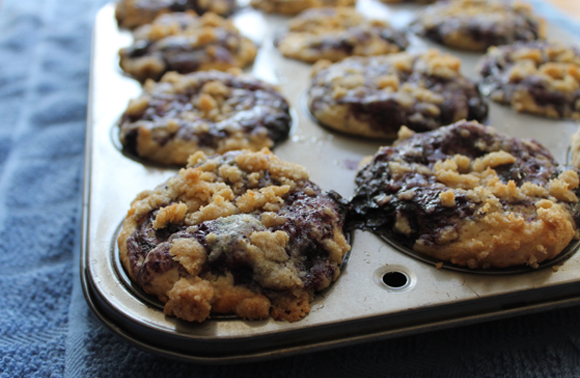 Smoosh the blueberries as you go, and set aside to cool to room temperature once the mixture is thick and melty. 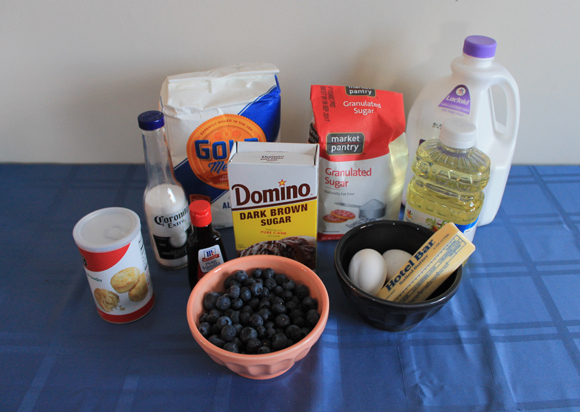 4// To make the muffins, mix together the flour, sugar, and salt in a bowl. 5// In another bowl, combine the eggs and sugar until thick, then add in the oil, melted butter, milk, yogurt, and vanilla. 6// Fold the dry mix into the wet mix until mostly combined, then fold in the remaining cup of blueberries until you have a lumpy and thick batter. 7// Spoon the mixture into your muffin tin, filling the slots completely. 8// Add a teaspoon of the blueberry swirl mixture to the top of each, poking into the middle with a fork to let it seep into the middle of the muffin a bit. 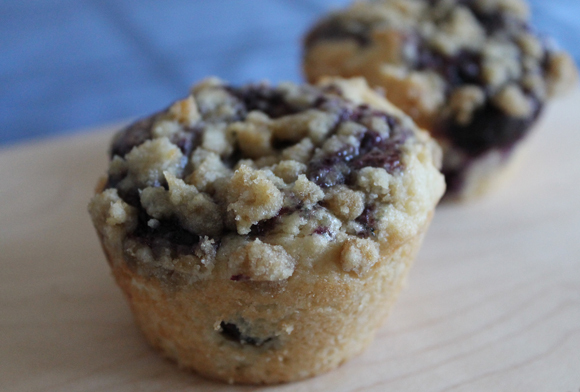 9// Add the streusel topping to each muffin. Note: the topping will have gotten a bit dry while it was sitting, so use your fingers to crush and sprinkle it all over, but be sure to leave some chunks! 10// Bake for 16 minutes, and let cool before devouring. Adapted from this recipe.